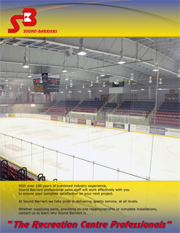 For ceilings with superior dependability,one product rises above the others: Crane Composites fiberglass reinforced plastic (FRP) ceiling panels. 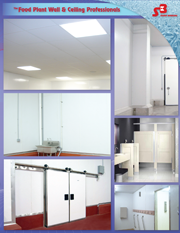 Our Glasbord and Kemply ceiling panels combined with our Sanigrid II grid systems are the ideal solution for high humidity and chemical environment installations. Count on Crane Composites ceiling panels for their moisture and corrosion resistance and a surface that won’t rust, pit, dent, bend or peel. Our Glasbord panels, with patented Surfaseal® finish, are up to 10 times easier to clean and up to six times more stain resistant than traditional FRP systems. For added structural strength, choose our Kemply panels, which are fabricated by laminating a Glasbord panel to a rigid substrate. With all the durability and hygiene benefits of our Glasbord products, Kemply panels are just as easy to install – they can be applied directly to studs or used as lay-in ceiling panels. For a grid ceiling, choose our Sanigrid II system, which uses a series of pre-notched main tees and cross members to lock in the grid. It allows for fast installation, with the entire system easily snapping together. No matter which Crane Composites ceiling system you select, the end result is a simple, sanitary solution that’s designed to last. Sanigrid II is an all-fiberglass ceiling grid system that will resist moisture in high humidity and chemical environments. Sanigrid II will not rust, pit, dent, or peel like metal grid systems and it is very easy to install. The new Sanigrid II system uses a series of pre-notched main tees and cross members to lock the grid together. The entire system snaps together quickly for faster installation.